Paralympian Josh Cassidy always has a goal to reach, a milestone to hit, and a story to tell. He uses physical challenges to encourage empathy around mental health challenges. Joshua Cassidy, Paralympian and revolutionary, believes that athletics can nurture empathy, and empathy can nurture mental health. 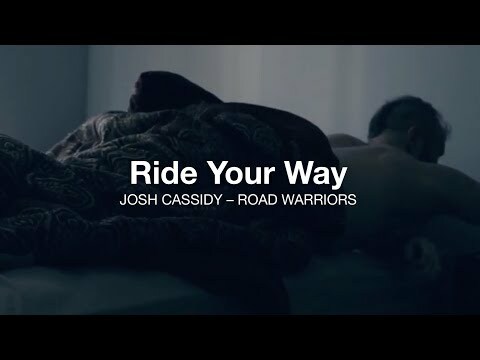 So for our Ride Your Way series, he used the wheelchair bike as a channel for empathy, encouraging the act of literally putting yourself in someone else’s shoes. In downtown Guelph, he trained dozens of people to operate a wheelchair bicycle and coached each individual through 10 minutes of intense physical activity (the arm burn was #real). The fundraiser educated participants about the connection between physical health and mental health. Josh Cassidy, you're a Fundraising Rebel, a mental health advocate, and a real ally.